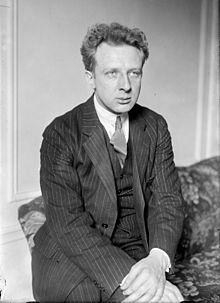 Leopold Stokowski (18 April 1882 – 13 September 1977), born Leopold Anthony Stokowski in London, also known as Leopold Antoni Stanisław Bolesławowicz Stokowski, was a famous orchestral conductor, and founder of the New York City Symphony Orchestra. He arranged the music for Disney’s Fantasia (1940), making a brief appearance in the film. 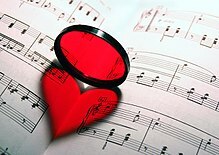 Music come from the heart and returns to the heart. I understand you are doing "The Sorcerer's Apprentice." I would love to do that for you. I will do it for nothing. Unsourced variant: I would like to conduct that for you. Music For All Of Us (1943); also quoted as "...Music can be all things to all persons... "
Addressing an audience at Carnegie Hall, as quoted in The New York Times (11 May 1967); often this is quoted without the humorous final sentence. From his will, in which he provided for his conducting scores, manuscript orchestral transcriptions, and recordings to archived and accessible to the public. The Stokowski Archives are now housed in the University of Pennsylvania Library. On matters of intonation and technicalities I am more than a martinet— I am a martinetissimo.